What Type of Eco-friendly Roof is Best In Cold Climates? If you live in an area that regularly receives three-foot deep snowfalls, or where it’s not uncommon to see the weatherman point out lows of -20, then you probably have a special reverence for your roof. Not only does it do all the usual jobs of keeping you and your family safe and comfortable, it also stands as a literal shield against the elements. That’s why it’s so important to choose a material that suits your local environment. In particular, some newer roofing solutions—like solar or green roofs—can do a lot more than your standard asphalt shingles to boost both your home’s energy efficiency and the amount of passive heat gain transferred into your home’s interiors. In fact, experts who study the environmental impact of buildings say roofs stand to make a huge dent in a building’s overall toll on the local ecology, owing especially to their large surface area. Let’s take a look at some innovative new roofing materials, their pros and cons, and how you can take advantage of passive heating through the type of roof you choose for your home. Along with cutting your energy costs by offsetting electricity use, PV panels overwhelming increase the overall energy efficiency of a rooftop as well. An assessment published in the Journal of Industrial Ecology looked at various eco-friendly roofs in several cold-weather locales, including Vancouver, Toronto and Calgary. In doing so, they found that solar performed much better than both green roofs and cool roofs in the area. By “performs,” however, they were referring to the overall environmental impact. The green energy generated by solar rooftops typically offsets the carbon emissions created through the panel’s manufacturing. PV panels have a shading effect that lessens the need for cooling in summer. Of course, along the same lines, they may slightly increase heating demand during the winter. However, this boosted energy consumption is nothing compared to the amount of nonrenewable fuel they offset, the study concluded. And other research shows more promising results when it comes to wintertime heating for solar households. An experiment performed by researchers at the UC San Diego Jacobs School of Engineering found that while panels keep ceilings around 5 degrees cooler throughout the day, they actually hold in heat during the night, providing an insulating effect. That means the thermal benefits might actually be greater for solar roofs than previously thought. So if you’ve written off panels because you live in the chilly north, you may want to give them a second look. 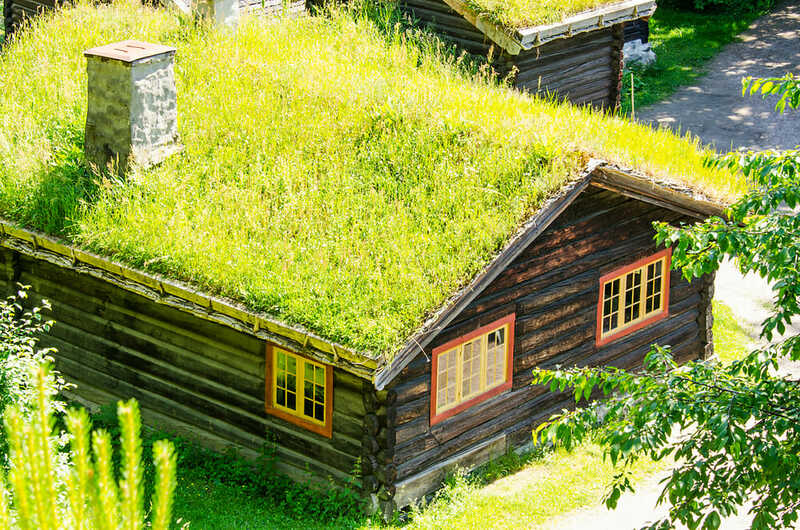 It takes a special kind of homeowner to go for a green roof. Completely covered in live vegetation, they certainly make a bold design statement, to say the least. But with carbon emissions and climate change on everyone’s mind, green or “living” roofs are gaining prominence as an all-natural solution to improve rooftop energy efficiency. Besides reducing greenhouse gases and limiting air pollution, green roof proponents like the EPA claim that these living surfaces naturally insulate interiors, meaning residents use less heating and cooling, as well. They also tout living roofs’ ability to manage stormwater runoff and filter rainfall, so fewer toxic pollutants enter nearby streams and lakes. But what about in cold-weather climates, where roofs regularly receive heavy ice and snowfalls? In the same Journal of Industrial Ecology study, researchers also compared the effects of green roofs in Canadian metropolitan areas. They found that even in the harsh weather climates of Vancouver, Toronto and Calgary, green roofs do demonstrate positive ecological benefits—although perhaps not as effectively as solar roofs do. Most notably, green roofs reduce area water toxicity, especially in areas with higher precipitation levels. In Vancouver, for instance, nearby aquatic eco-toxicity fell by nine percent just by introducing green roofs in the area. However, even with these positive ecological benefits, green roofs just can’t beat solar when it comes to reducing emissions. Although they lower the urban heat island effect and allow homes to use less energy for heating and cooling, our study found that solar rooftops are far and away the best for carbon emissions reduction. Still, if you like the idea of a green roof, you could get the benefits of both by installing a terraced rooftop patio with a large garden. It wasn’t so long ago that environmentalists were gaga for cool roofs. Painting your roof white for a low-cost, simple solution to the urban heat island effect? Seems like a no-brainer. But that’s before a Stanford study was released showing that white roofs actually contribute to global warming. En masse, light-colored surfaces reduce area cloudiness, which speeds up drought and increases average temperatures. And cool roofs do almost nothing to improve environmental performance in cold-weather locations. 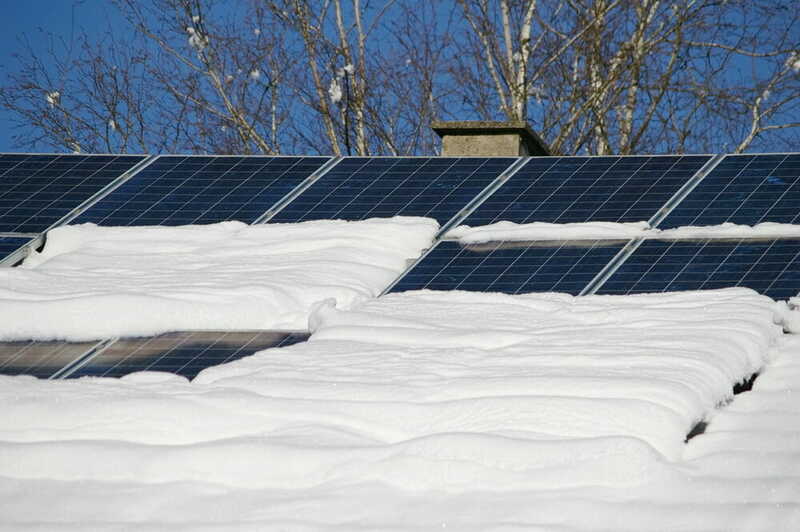 Since white roofs reflect solar heat, they’re typically not recommended for homes in the north. 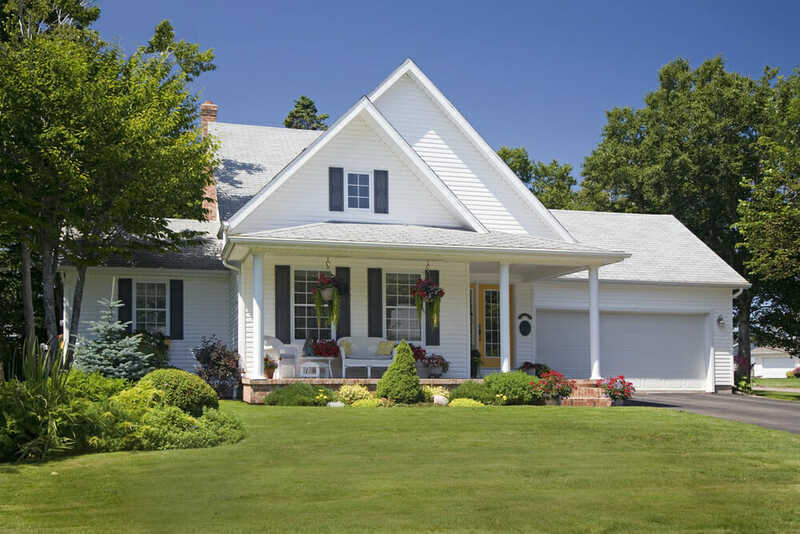 In fact, your standard dark-colored asphalt shingles probably perform slightly better for homes in these areas. Because they absorb heat from the sun, you may feel some passive solar gain in the winter. All in all, a lot more analysis is needed before we all jump on the cool roof train—especially for those of us dealing with harsh winter temperatures. In the end, energy efficiency comes down to knowing your climate, and how different materials interact with your local weather and temperatures. But these eco-friendly materials could definitely put some green in your home’s surfaces—even if you practically live in the Great White North.